Is it hard to get your kids to take their vitamins? 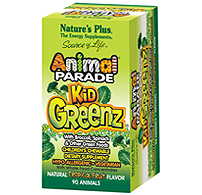 Check out this free sample to see if your kids might be a Nature's Plus vitamin chewable fan. To redeem freebie, click on the "Free Sample" tab and fill out your information. Freebie ships in 6-8 weeks.